How tough can a life of a 8 year old be? For some fortunate children, their upsets may be not being allowed enough chocolate or getting the toy that they want. But, then there are others for whom life truly is desperate. 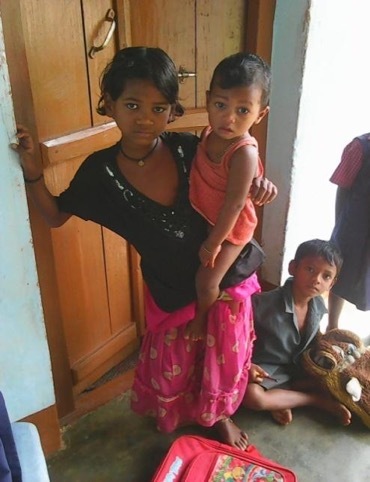 This is the story of 8 year old Mekha Majhi. Mekha Majhini lives with her grandmother. Both her parents are alive but they have each remarried and begun raising children with their new spouses. There was no time in their lives for Mekha. If this was not enough, Mekha’s mother then murdered the first wife of her second husband and was imprisoned for the crime. Mekha’s life with her grandmother was bleak. The grandmother was not concerned with Mekha attending school. Instead Mekha life consisted of watching children in the village while their parents worked in the mountains, or doing laundry in the river, or going in to the mountains herself to work. She was often seen going from house to house looking for food. The Sisters of Jubo took pity upon this child who was so in need of loving care. They encouraged the grandmother to send Mekha to school. Then, theyy talked with Mekha and persisted until she began to attend classes. Slowly she began to learn her letters and gain interest in her studies. With the loving support of the Sisters of Jubo, Mekha is beginning to thrive. 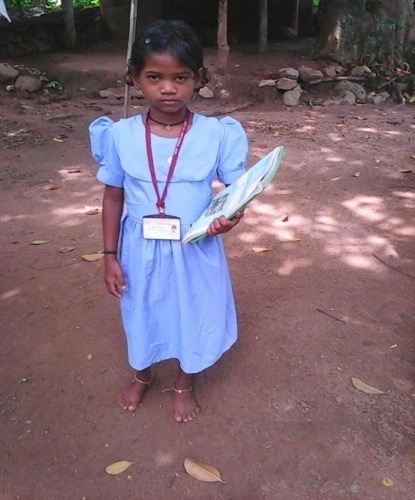 She attends school regularly and is a happy child. You can see it in her eyes as she cares for other young children in her village, giving them some of the love that she so desperately missed from her own family. ← Family of the Month – The Kondagori Family – SPONSORED!